So far in a series of posts, we’ve discussed how to sell your baked goods at farmer’s markets (here), what’s required for a home bakery license (here), and how to label and package your home-based food products (here). These posts have all discussed the requirements for producing and selling food products as a cottage food producer and under a home bakery license in Ohio. 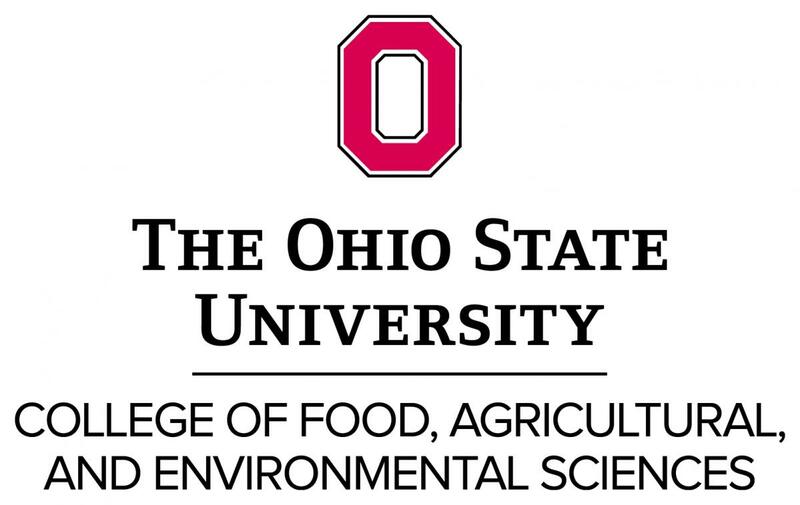 We continue the series with a description of how food sampling is conducted by the Ohio Department of Agriculture (ODA) for these home-based food products. One of the benefits of being a cottage food producer or obtaining a home bakery license is how few conditions there are to meet in order to sell your food product in Ohio because these foods have lower food safety risks than other food products. For example, if you want to sell cottage food products, you are not required to have your home kitchen inspected and you do not have to pay any type of licensing fee (since no license is required). If you want to sell food products under a home bakery license, your home kitchen must be inspected by the ODA and you will have to pay a $10 license fee every year. For a more in depth explanation of cottage food products and home bakery licenses, see the posts mentioned above. Even though there are lower risks and few requirements for selling home-based food products, you still have an obligation to ensure a safe food product. Compared to a restaurant, which could be inspected multiple times over the year, there is very little oversight when it comes to producing cottage food products and food products produced under a home bakery license. However, ODA does maintain some oversight in the form of food sampling. Food sampling is conducted to determine if a food product has been misbranded or adulterated. Its label bears the name of the food specified in the definition and standard, and, insofar as may be required by such statute or rules, the common names of optional ingredients, other than spices, flavoring, and coloring, present in such food. A food for which a standard or standards of fill of container have been prescribed by rule in Section 3715.02 of the Revised Code, and it falls below the standard of fill of container applicable, unless its label bears, in the manner and form the rules specify, a statement that it falls below the standard. In case it is fabricated from two or more ingredients, the common or usual name of each ingredient; except that spices, flavorings, and colorings, other than those sold as such, may be designated as spices, flavorings, and colorings, without naming each. However, if providing the common or usual name of each ingredient is impractical or results in deception or unfair competition, exemptions will be established by the Director of Agriculture. When are home-based food products subject to sampling? Food sampling is usually conducted either randomly or under specific circumstances. You likely won’t even know if your food product has been randomly sampled, unless the food product comes back from testing with an issue. The Director, or someone the Director authorizes, will purchase home-based food products that have been placed in the marketplace. The most common scenario for when your home-based food product could be subject to random food sampling is if you sell it to a retail food establishment or food service operation, such as a restaurant or grocery store. According to the Ohio Department of Agriculture, random sampling does not usually occur at farmer’s markets. Random food sampling also does not usually occur when you are selling your food product directly to the customer from your home, where the product is produced. At any other time the director considers a sample analysis necessary. What happens if there was an issue with your food product? If your food product has been subject to food sampling and an issue is found with your product, then you will be contacted by ODA. They will make you aware of what the issue was, such as your product tested positive for a pathogen like E.coli or maybe you forgot to list an ingredient that was found in your product. ODA will then likely inspect your home kitchen. If a pathogen was found, the inspection will likely be focused on figuring out how the problem occurred and how you can remedy it. If your food product is in the marketplace, then a recall may need to be issued. Home-produced food products typically are not a common source of consumer complaints. But just because there are not as many complaints associated with these types of food products doesn’t mean you should be lax in the way you prepare your food products. Preparing safe food products for your customers is essential. Food sampling is a way ODA helps to ensure your business is doing just that. If you already produce and sell home-based food products, or are considering starting, it is very important to label your products correctly. All home-based food products, whether sold as a cottage food or sold under a home bakery license, must be properly labeled to sell legally. If you are not familiar with the difference between cottage foods and foods produced under a home bakery license, check out our recent post on the requirements for selling your home-based food products at farmer’s markets here. The food labeling and packaging requirements for both cottage foods and foods produced under a home bakery license are very similar with a few differences that will be highlighted below. The name and address of the cottage food production operation. The ingredients of the food product, in descending order of predominance by weight. This means your heaviest ingredient will be listed first and the least heavy ingredient listed last. Also, ingredients must be broken down completely if the ingredient itself contains two or more ingredients. For example, if unsalted butter is one of your ingredients, then you would list it as follows: Butter (Sweet Cream, Natural Flavor). The following statement in ten-point type: “This product is home produced.” This statement is required because it gives notice to the purchaser of the food product that the product was produced in a private home that is not required to be inspected by a food regulatory authority. If any of these major allergens are contained in your food product, then you may declare them in either of two different ways. The second way to declare an allergen is in your ingredients list. An example would be: “Enriched flour (wheat flour, malted barley, niacin, reduced iron, thiamin monotrate, riboflavin, folic acid), Egg.” In this example, wheat and egg are specifically stated within the ingredients so you would not need to put an additional “Contains” statement. Nutritional information is not required for cottage foods unless a nutrient content claim or health claim is made. An example of a nutrient content claim would be “low fat.” An example of a health claim would be “may reduce heart disease.” If either or both of these claims are made, then you are required to include a Nutrition Facts panel on your cottage food product. More information on the Nutrition Facts Panel can be found on the U.S. Food and Drug Administration’s website. When air is removed from a package of food and the package is hermetically sealed so that a vacuum remains inside the package. When the proportion of air in a package is reduced, the oxygen is totally replaced, or when the proportion of other gases such as carbon dioxide or nitrogen are increased. For foods produced under a home bakery license, you will follow the same guidelines for labeling as explained above with a few exceptions. The statement, “this product is home produced” is not required to be on your label. The statement is not required because your home kitchen must be inspected by the Ohio Department of Agriculture to obtain a home bakery license. If your home bakery product requires refrigeration, then you must include the language “Keep Refrigerated,” or a similar statement, on your label. The same guidelines also apply here. There is no restriction against using reduced oxygen packing methods if you have a home bakery license. You may sell your baked goods in any package that is appropriate for the food product. Why is labeling so important?